Bandar Sunway is a mature township that is synonymous with the Egypt-inspired Sunway Pyramid and Sunway Lagoon theme park. Also known as Sunway City, it has continued to grow over the years, with developments such as hotels, universities, colleges and hospitals by Sunway Group. Bandar Sunway has also attracted other developers that mostly took on residential projects for the growing working and student population. Cicet Asia Development Sdn Bhd is one of them. 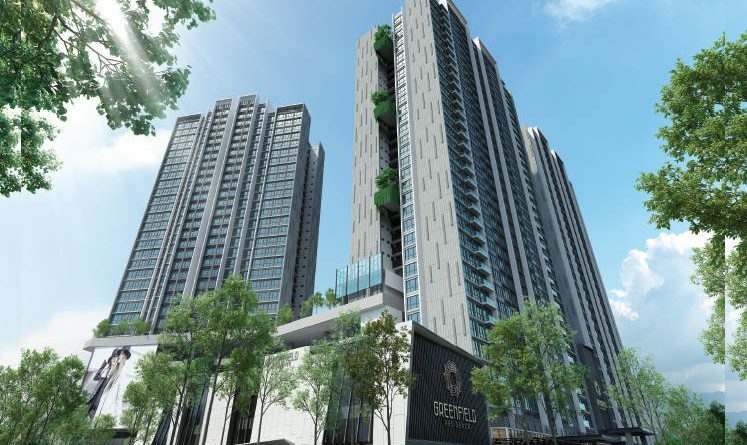 Its maiden project, Greenfield Residence @ Bandar Sunway comprises three towers. The first two blocks, Towers A and B, were launched in May 2017. It is looking to launch Tower C in the next quarter. According to director Tan Swee Ee, Tower C is now open for registration, following the positive response to Tower A and B. “About 87% of Towers A and B have been sold with buyers mostly from Subang, Sunway and Petaling Jaya as well as Puchong, Klang and Kuala Lumpur. Most of them are mostly owner-occupiers,” he tells City & Country. He says unique selling points include the family-­friendly design, location, pricing, connectivity and green living. The design, he reckons, is the main factor that attracts owner-occupiers. There will be a two-acre recreational garden on the facilities floor at Level 9, which features six thema­tic landscapes — aquatic cove, green belt, green oasis, central green park, energetic corridor and residential facilities. The 34 facilities include an infinity pool, Jacuzzi, wading pool, pavilion, multi-colour flower zone, hammocks, children’s playground, jogging trail, outdoor gymnasium, floating gymnasium, barbecue area and squash court. The three towers will offer 816 units on a 5.57-acre leasehold tract in PJS 8. The gross development value is RM580 million. The units come in four layouts with built-ups of 581 to 1,302 sq ft. Units larger than 1,000 sq ft will have a dual-key concept. “Our 581-sq-ft will have 1 + 1 bedrooms and the 764-sq-ft units, two bedrooms. These designs are suitable for small families. That was our intention from the beginning, to target owner-occupiers. We can see that some 30% of our buyers have small families,” Tan says. There will be 297 units in Tower C, each with one to three parking bays. Tan says the selling prices for the 242 units at Tower A started at RM398,000, rising to RM420,000 for Tower B (277 units). “The starting price for Tower C will be 5% to 10% higher upon launching. Our pricing is competitive and the project in a strategic location, surrounded by a mature area and education hubs … this is the unique selling proposition for residents,” he says. The development will also feature 23 double-volume shops in a retail podium. These units — with average built-ups of 1,500 sq ft — will be sold in the future. Cicet Asia, a unit of China-based parent Chongqing International Trade Group Co Ltd, started as a contractor in Malaysia in 1991. Tan says it is one of the pioneers from China in the local construction industry and is now “very localised” — with the team comprising all Malaysians — after for more than 20 years in the country. 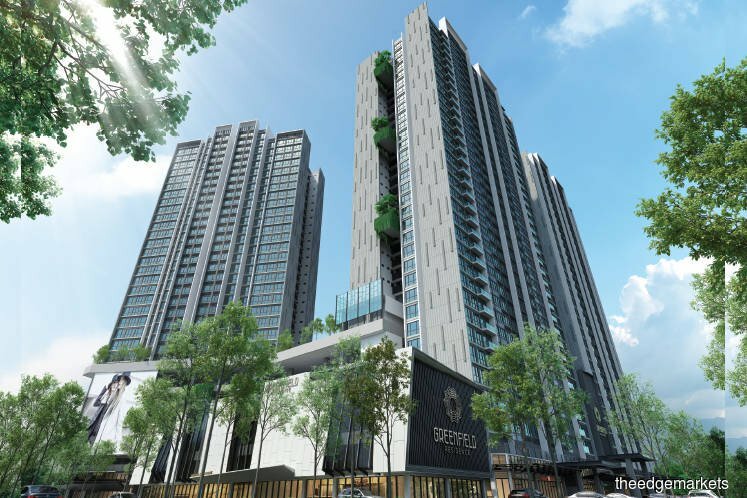 It has built properties for developers such as S P Setia Bhd, IOI Properties Bhd and Gamuda Bhd. “We moved into property development because there is still room for improvement in terms of property value in the country. We think we are capable of delivering quality homes and should capitalise on our strength as a contractor,” Tan says. He reckons that the biggest challenge faced by the industry is the uncertain market sentiment. However, with the new government and new policies, he believes the market will pick up soon. “Although this is our maden project, we are confident because of our experience in construction. We have worked with many developers and we know the ins and outs of the industry, so, in a way, we are not that new,” he says.